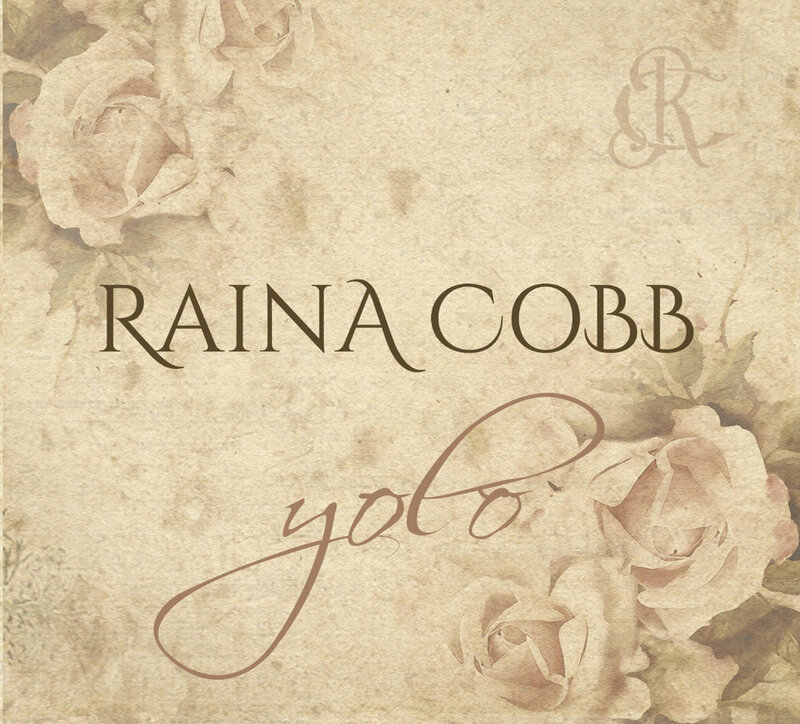 Oklahoma native Singer/Songwriter Raina Cobb has put out a new album last week, titled Yolo. It features 6 tracks and was engineered and executive produced by her husband K.C. Cobb. The album was mastered by Dwight Hamlin with Artwork provided by Shelly Phelps Graphic Design. It features Cobb on vocals and acoustic guitar, Bart Weilburg on electric and acoustic guitar, Stephen Tillman on bass, James Purdy on drums and percussion and Shelly Phelps on background vocals. “I had a catalog of songs and had a sound in mind for each of them. It was time to get them recorded. A few songs I had folks at my shows ask if I had recorded them yet or where they could find them,” said Cobb about her new album. Cobb has been playing music for several years now and is well known in the local Okie scene. She previously put out an EP Damn Town in 2014, and the full length album Journey in 2016, making this her 3rd body of published work. “We wanted a particular sound that we never had previously. Not that I didn’t like what I recorded in the past, I just felt on this album we wanted, and came closer, to a common thread on all songs throughout the album. Three songs are co-written with Misti Lanier. We had been working on a lot of material when she suddenly suffered a brain tumor and is recovering as we speak. She and I love the girl songwriters. It was time to get these songs recorded,” explained Cobb about Yolo. The songs co-written with Lanier are; ‘You are Mine’, a rocking little love song that paints an endearing story filled with sweet descriptions, “Settling Down” a toe tapping little ditty about real life and real love with stories that most of us can relate to, and “Wither on the Vine” which has a honky Tonkin feel to it and shows some of that famous sass that Cobb comes with naturally. Cobb’s sound is brazen and full bodied, her songs vary from twangy country to rocking bluesy sounds along with some things in between. She has a playful and cheeky side, as well as a serious and somber one, and her songs reflect that range of character. The cover is called “12 Days” and is a slow and melancholy tune about being separated for long times from the one you love by a job that takes them on the road. Cobb’s throaty timbre is strong and powerful on this tune for sure, she puts her own unique flavor onto the cover, making it her own. “I’m so excited about the players on the album. Bart Weilburg is aguitar virtuoso, Nashville producer and touring musician, and plays now with Austin legend Wayne ‘The Train’ Hancock, Bart produced the record along with K.C. and myself. He also played acoustic guitar on the record as well. He’s an extraordinary musician. On bass guitar is Stephen Tillman, he has played bass with me for a few years, currently plays in numerous bands, and is an exceptional player. Rock and roll is what he’s known for, but the singer songwriter stuff is now his wheelhouse. He’s absolutely right at home these days playing both with a singer songwriter as well as a rock and roll band. Then there’s James Purdy, ‘Big Purd’, our drummer and percussionist. He’s played on my last three albums. He’s currently with BC and Big Rig, a consummate professional and exceptional player. I’m truly blessed to have these guys involved,” said Cobb. The remaining songs on the album are “First Love” which is a lighthearted and catchy tune that follows true love through the years from the first baby doll and beyond, and “Gotta Get Back” a song that definitely lets Purdy’s strengths shine through, but also has some really great guitar as well. It’s got a great beat and makes you want to move along with it, as Cobb sings about finding her way back to her heart. The songs all blend well into one another and form a great cohesive sound and musical experience.At the same time I think they show a blend and range of Cobb’s vocal talents along with her songwriting skills. It’s a great little album, and you should get your hands on a copy so you can hear it for yourself. “This year has been great. I’ve played more shows this year than ever. It’s really been fantastic the places we’ve been and the people I’ve met, but we also have had some tragedy. One of our closest friends had a major health crisis. She is still recovering doing well but it will be a long road. We also lost a dear friend suddenly in a car accident. Both events have totally made me stop and think of how short life is. My friend that passed lived every day as her last. She will be so missed and her loss has affected me tremendously. I truly feel the love of life now and know what is important and not to stress so much and not to obsess about the little things. It’s just not worth the worry anymore,” said Cobb. I think that vibe comes through loud and clear in Yolo, which is also dedicated to that friend Angie Garner. I’m looking forward to hearing the new songs live. Make sure you catch a show and pick up Yolo while you are at it.